Cover has tear by spine and is creased. Spine has several long chips. 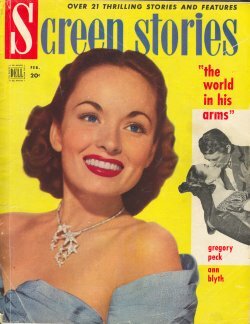 Cover depicts Ann Blyth. Features on Death of A Salesman, Hong Kong, World in His Arms, and Room for One More. Back cover has Chesterfield ad with Maureen O'Hara.